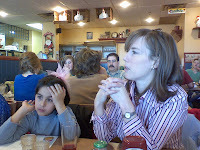 We had a get together with my wife's family in Montreal on December 1, 2007. 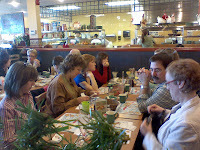 Some came from Chicago, Quebec City, and Trois-Rivieres. 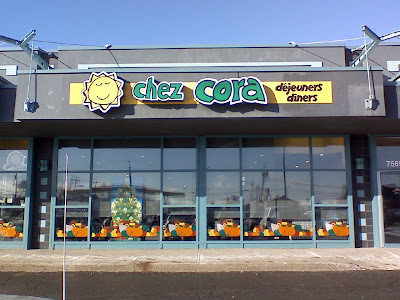 We met up for breakfast at Chez Cora in La Salle, Quebec which is a suburb of Montreal. After breakfast, we headed for the Marriott Chateau Champlain in downtown Montreal, where we stayed for the night. Some went swimming, some went shopping, and some just relaxed.